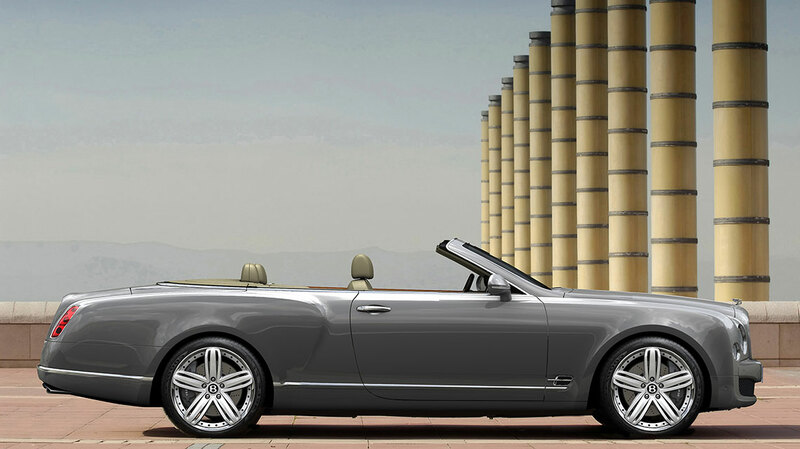 The Grand Convertible had been a slow burner at the Bentley Design Studios. 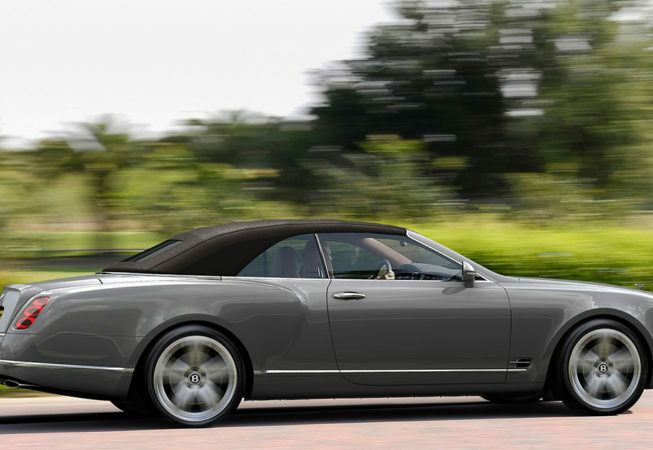 Ever since its bigger sibling the ‘Mulsanne’ had been launched in 2009, it had been considered as a derivative of that car. 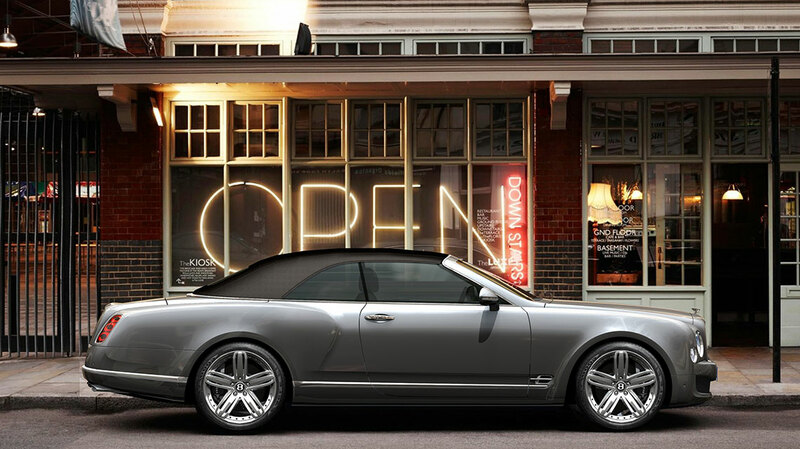 But no real business case existing for building a new Azure, or even a Brooklands (the coupe version) for that matter, on that platform. 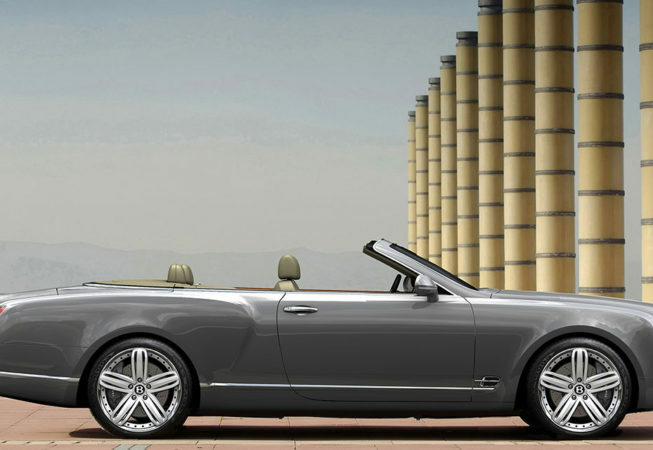 However in 2014 Bentley Management decided to build a show car for the Los Angeles Auto Show. 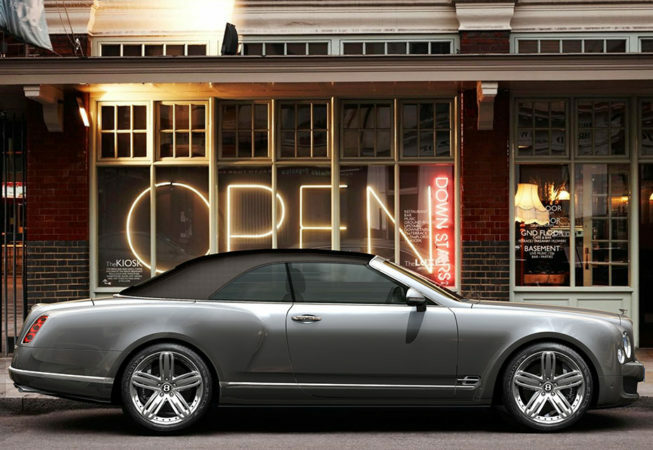 Primarily to gauge customer opinion and reaction. 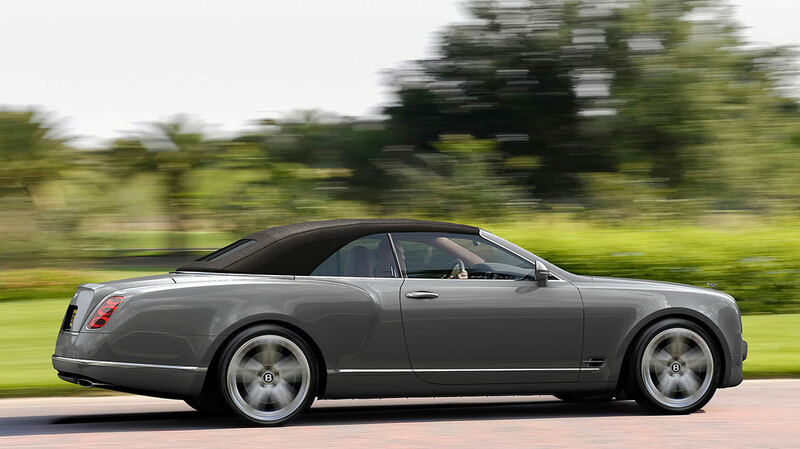 Bentley had decided that if the reaction was positive enough they would produce a highly exclusive and extremely limited collector’s piece for a small number of customers. I was involved with the project from the outset. 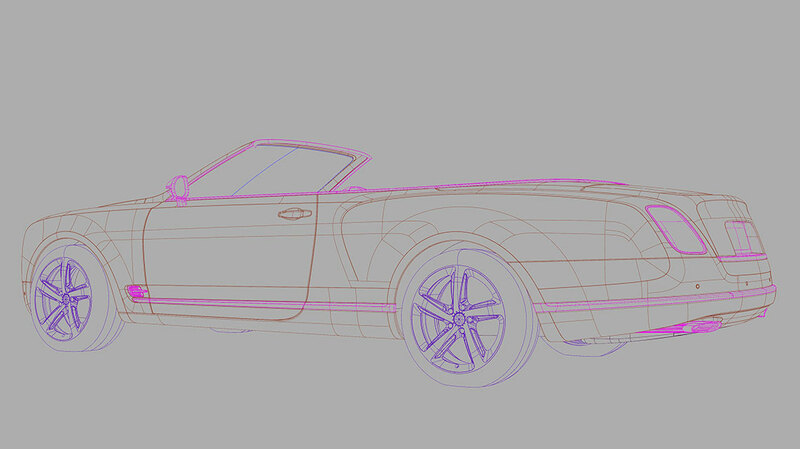 In this case, back in 2009 when I had produced a number of CAD volume models for the Grand Convertible based on a shortened Mulsanne platform. I worked closely with lead designer Crispin Marshfield on a number of design themes at the time. 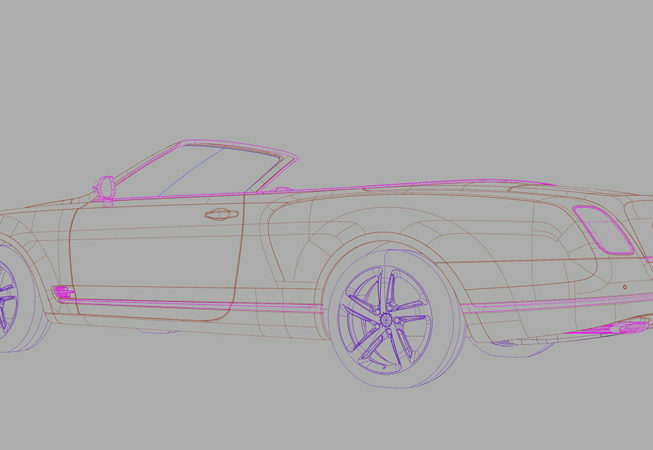 These were refreshed from time-to-time over the coming years, so by 2014 we already had a confirmed design theme, a basic Alias model and a number of Autodesk Showcase renderings that I had produced. In mid 2014 I led a team of Alias modellers to finalise the theme before passing the surface model over the ICEM team for production development.